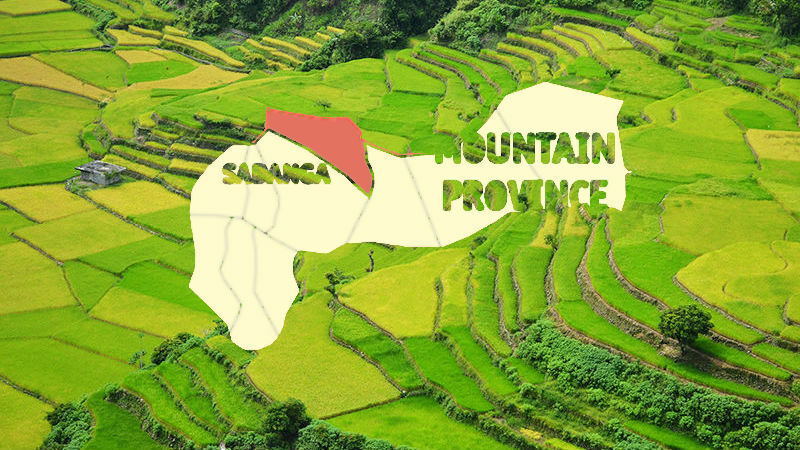 SADANGA, Mountain Province – Without fanfare, this municipality simply and meaningfully commemorated the 55th Founding Anniversary of the municipality. “The past 55 years is definitely a long journey for us. . . reaching the status that the municipality now did not happen in an instant. . .”, said Vice Mayor Joseph Apopot. With the theme: “Nurturing our Community with Patience, Hope, and Unity towards Progress and Better Life”, officials and resource persons talked about maintaining peace towards progress in the municipality. Police Director PSSupt. Allen Ocden emphasized, during his short message, that progress for the community only comes after peace. . . and the attainment of peace cannot be possible without the cooperation of the people. Mayor Jose Limmayog says the celebration serves as an opportunity for the iSadanga to be more steadfast in the common advocacy for progress truly united and cooperative to each other. The town’s executive also underscored the need to conserve the environment. “We continue to hold on to our patience, hope, and unity that we may accomplish more development for our community” he further stressed. The candidate for Man of the Philippines Basilio Falisong, Jr. courted the support of his kakailians for his candidacy in the national pageant. “Pray for me”, he asked. The Sangguniang Bayan of Sadanga passed on June 25, 2018 Resolution No. 43, Series 2018, “commending and congratulating Basilio Jr. M. Falisong for being the official candidate representing Mountain Province to the Man of the Philippines 2018 National Pageant”. His being the provincial candidate “brings honor and prestige not only for barangay Belwang but to the Sadanga municipality as a whole”, states the resolution. During the program after lunch, the mayor inducted into office the barangay officials of the nine barangays starting with the barangay captains, and then the barangays Kagawads. He has directed them to be of better service to their constituents ever mindful of the sacrifices in public service.